Pinot Noir, called Pinot Nero in Italy, is a complex grape, with early ripening and very sensitive to terroir: in too hot climates, it matures quickly and does not fully develop the aromas that its peels can release. Perfect location, as Jancis Robinson tells us in the World Wine Atlas, is the Côte d’Or, in Burgundy: here, if the clones are well chosen and the viticulture and vinification techniques are well applied, it can best express all the nuances of the terroir. The great character of the Burgundy reds is emulated worldwide, with the best results obtained in Germany, New Zealand, Oregon and in the cooler areas of California and Australia, but also Italy boasts its goodies. Together with Chardonnay and Pinot Meunier it is one of the three vines eligible for the production of Champagne, as well as the two great classic methods of Belpaese, Trentodoc and Franciacorta. The Pinot Nero vine, vinified in red, gives rise to wines not very rich in color, transparent, not very tannic and with a marked acidity, characterized by fruity hues (blackcurrant, blackberry, raspberry, cherry, strawberry) and floral (pink, violet) when young and finer and more complex notes with aging (leather, undergrowth, tobacco, spices). From the second variety (the one vinified in white, therefore without contact with the skins), a “neutral” wine is obtained, which however is the best basis for the production of sparkling wine, to which it gives body, complexity and also a remarkable longevity. In France it is at the base of the success of the prince of sparkling wines, the Champagne. 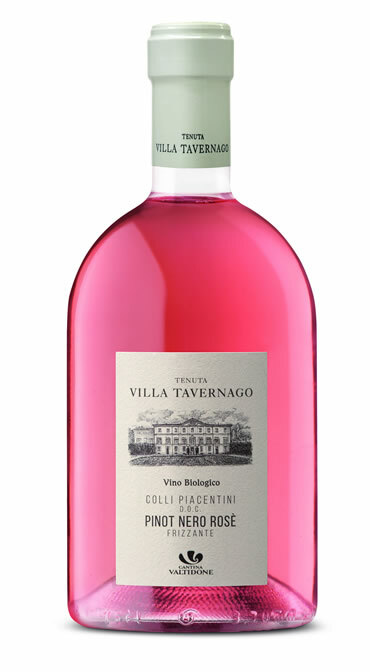 In Italy the most important areas are Trentino-Alto Adige, the Oltrepò Pavese, where it has been introduced since the mid-1800s, thanks to the work of the Counts Vistarino, the first in the Belpaese to believe in the potential of the French grape, but also in the Colli Piacentini, in Franciacorta, in Friuli, in Veneto and, to a lesser extent, in Tuscany. Historically, however, it is in South Tyrol that the variety is recorded for the first time, in 1838. The first analytical description of Pinot Noir wines comes from Edmund Mach (founder of the San Michele all’Adige Agricultural Institute) in 1894. Despite its difficult character, pinot noir is widespread internationally, especially in the United States (Oregon and California), where some producers have come to move the winery even for many kilometers, in order to grapple with this capricious vine in a suitable territory to its cultivation. Among all the red grape varieties of the world is considered the most noble and elegant (the only possible comparison is probably the one with Nebbiolo), and at the same time is the most difficult to interpret, the one that places the winemaker and the simple consumer in the face of perhaps more complex tasting. The first, characterized by small and compact bunches and small berries, is suitable for being vinified in black and produces an extremely delicate red wine, which varies considerably from year to year even in the most suitable positions. Its winemaking is complex and perhaps represents the greatest challenge for a winemaker, who generally manages to get a good year in five on average. Pinot Noir combines perfectly with elaborate meat dishes, such as roast duck, game or find the ideal companion in a traditional aged cheese. To say the least satisfying the combination of a glass of Pinot Noir with first courses with meat sauce, cold cuts, roasted chicken or pan. Keep in mind that the young vintages of Pinot noir vinified in steel, are perfect also to accompany fish dishes, and its variations as sparkling wine are perfect, as they say, throughout the meal, from appetizers to the latter.